SFCM has certainly made a strong showing in New York City this month. 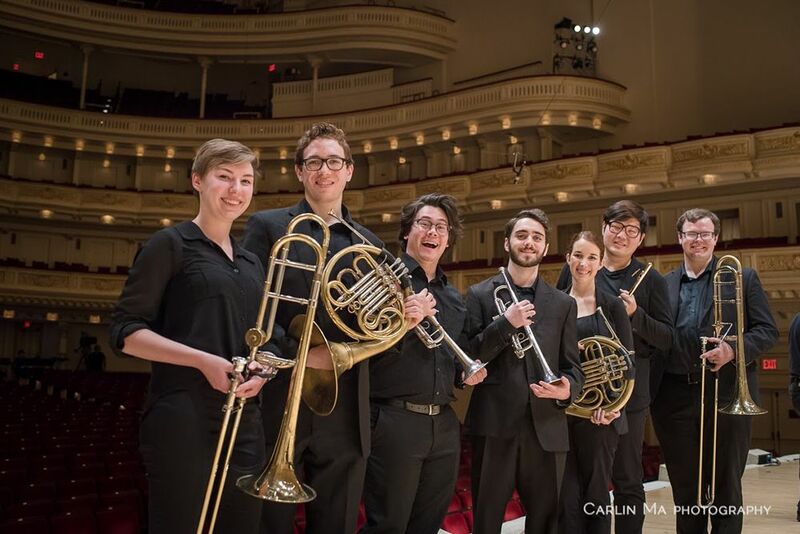 Only a couple of weeks ago, the Telegraph Quartet—the Conservatory’s quartet-in-residence—performed a sold-out show at Carnegie Hall that drew critical acclaim. SFCM also hosted a panel discussion at the Greene Space that brought together some of the most visible figures in music programming, performance, and composition to tackle the challenges and opportunities in the music world. 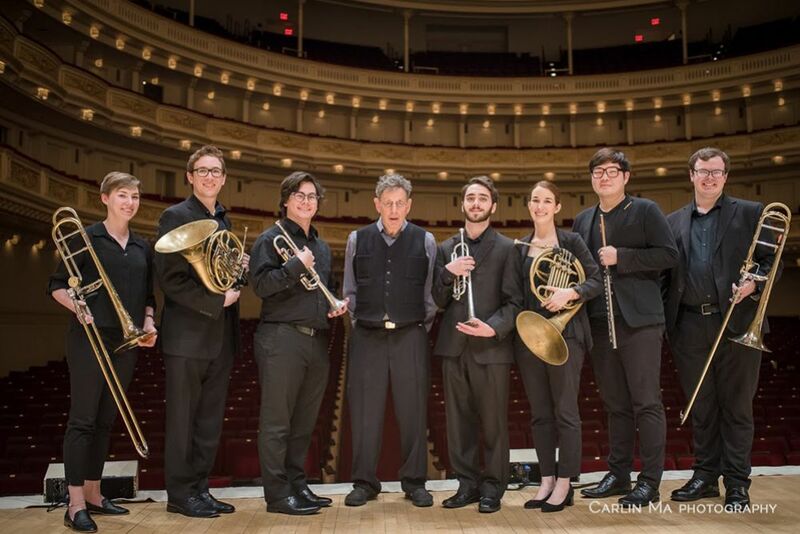 But this past week has seen the Conservatory’s students take center stage, both at Carnegie Hall and Davies Symphony Hall, with one of the most renowned composers living and performing today. 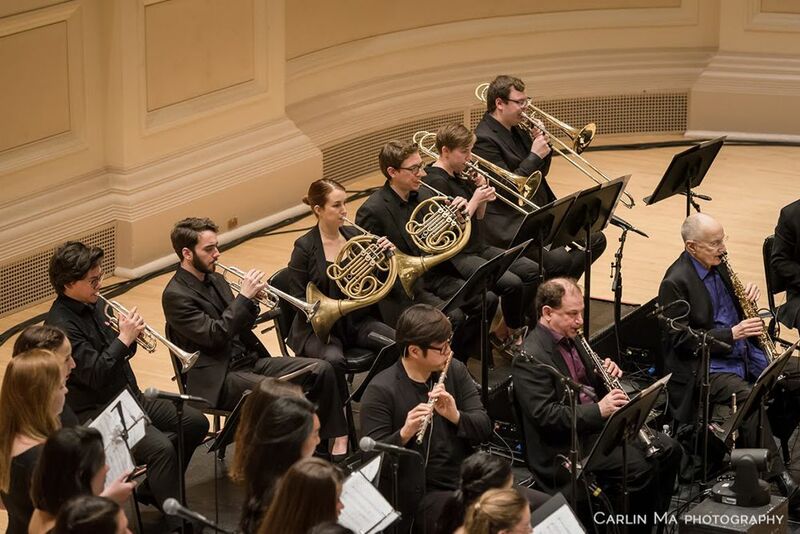 On February 16, seven SFCM instrumentalists joined Philip Glass and the Philip Glass Ensemble and the San Francisco Girls Chorus for the premiere of a new version of the composer’s legendary early work, Music with Changing Parts (1970), that features additional voices such as brass and a chorus. The program was repeated on February 20 at Davies Symphony Hall in San Francisco, a presentation by San Francisco Performances. 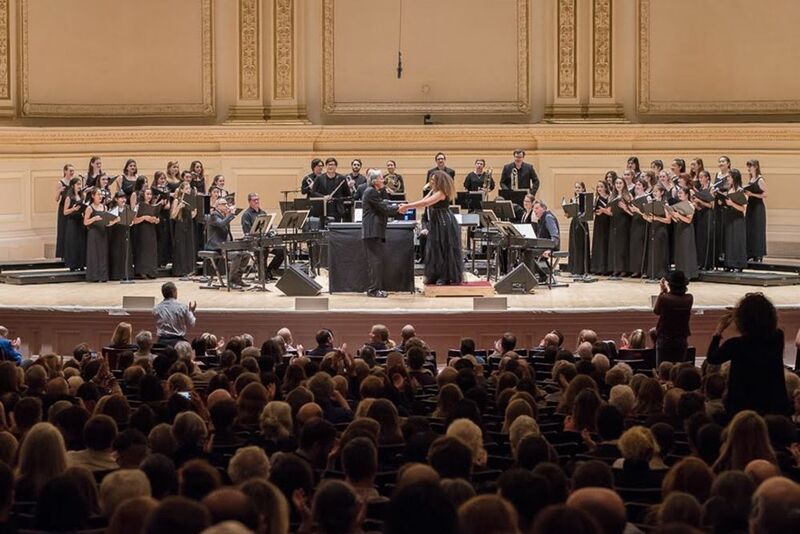 While there is something undeniably special about this collaboration in particular, it is a clear representation of the wealth of professional opportunities available to SFCM’s students. Without a doubt, there are many more to come.